The feeling that you experience when you pull out your iPhone to capture a moment and you see ‘’Storage Almost Full’’ error on the screen, cannot be defined in words. Not only you are unable to capture the moment, but when your memory is almost full, it has an impact on the performance of your phone as well. If you are struggling to find easy and quick answers to how to clear memory on iPhone iOS 12/11/10, you are at the right place. In this post we will try to explain the important of clearing iPhone memory and some very effective ways to clear memory on iPhone iOS 12/11/10. Why We Should Clear Memory on iPhone iOS 12/11/10? As mentioned above, when your iPhone’s memory is full, you are unable to capture videos, picture, download your favourite apps, games, music, books, etc. 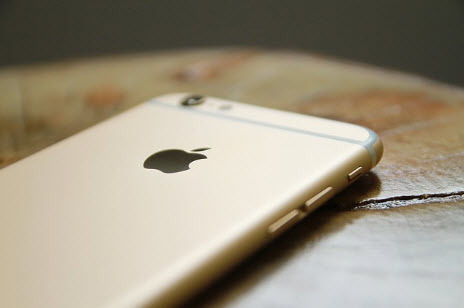 Moreover, it also has a major impact on the processing speed of your iPhone. If you feel that your iPhone is not as fast as it used to be, clearing memory on iPhone might be an excellent solution to your problem. Let us have a look at some of the most effective ways to clear iPhone memory. The easiest and quickest way to free hundreds of MBs worth of space in your iPhone iOS 12/11/10 is by uninstalling apps that you don’t need. To do this, simply tap on Settings-> General-> Storage and iCloud Usage. Now, tap on Manage Storage. 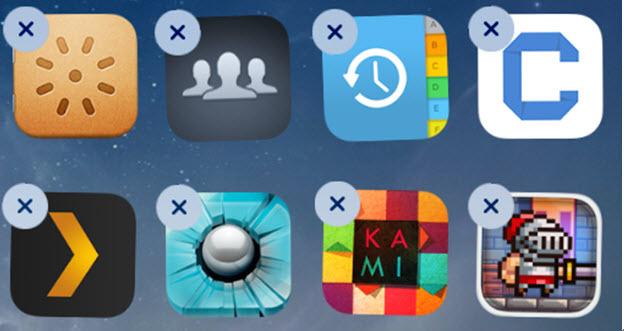 You will now be greeted with the list of all the apps in your iPhone iOS 12/11/10. Tap of the unwanted apps and delete them. There are many apps which were very small when you downloaded them, but are now worth hundreds of MBs. Facebook is a perfect example of such an app. These additional files are of no use to you and can be deleted by uninstalling the app and then downloading it again. Follow the same steps mentioned under the Delete Apps subheading. Once uninstalled, install the app again. If you generally use the HDR mode while clicking pictures from your iPhone iOS 12/11/10 or use Instagram, you will see that every photo is saved twice in your phone- One will be the normal version and other will be the HDR version. If you use Instagram, one will be normal version and other will be cropped and filtered Instagram version. Needless to say, when the pictures are saved twice, they need twice the memory as well. 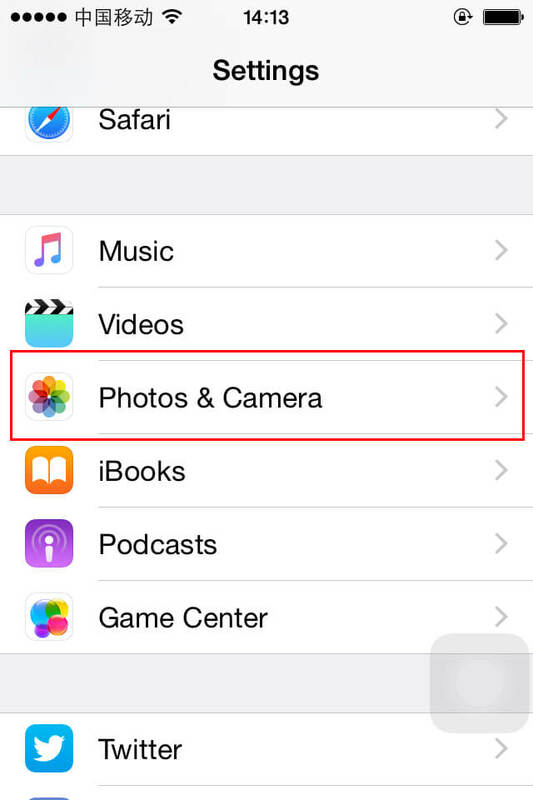 To stop this, tap on Settings app, look for Photos& Camera. After tapping on it, scroll down and untick the toggle which is located in front of Keep Normal Photo. If you use iPhone’s browser Safari very frequently, the browser might be storing a lot of web data and history which is no use to you. 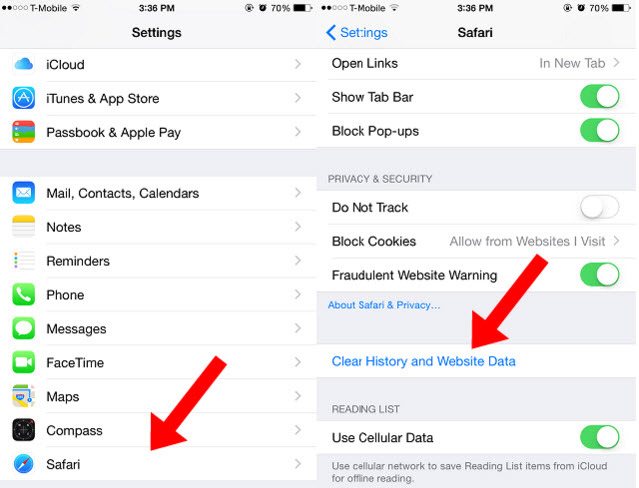 To clear Safari cache, tap on Settings, search for Safari and tap on it. Now, scroll down and tap on Clear History and Website Data. If you use any other browsers, look into their settings panel and you will find a button to clear history and cache. For clearing junk files and temporary files, such as download caches, crash logs, cookies etc. there are also some iPhone cleaner freeware can do it. So you won’t need to clear caches on app manually one by one. This will save much time. A nifty way to clear iPhone iOS 12/11/10 memory is with the help of a force restart, also known as a cold reset. This helps in clearing some caches and temporary files. For force restarting, press the Home and Sleep/Wake buttons together and keep them pressed until you see the Apple logo on the screen. It is also said that force restarts improve the speed of your iPhone iOS 12/11/10. While the above mentioned tips are pretty handy, a quicker and easier alternative is to use iMyFone Umate Pro or iMyFone Umate Pro for Mac. You can easily download the software to your desktop computers or laptops o make the storage management process easier. Once the software is downloaded, simply connect your phone to the system and launch the software. 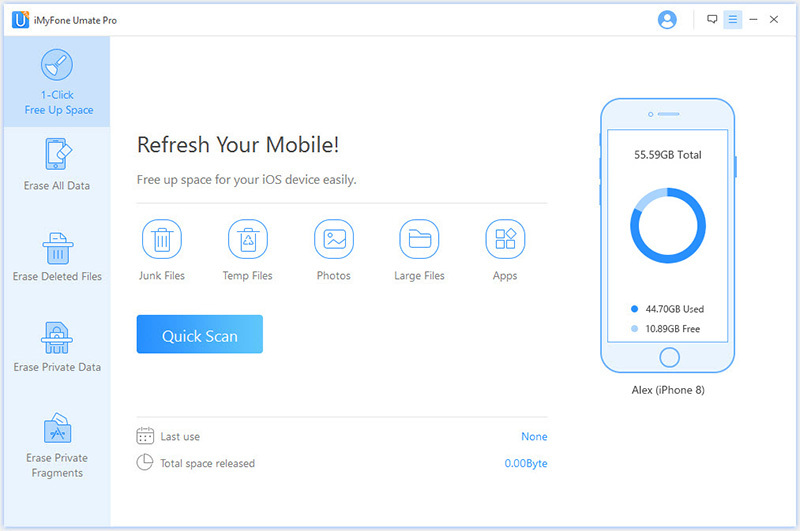 Then you will be able to delete junk files, temp files, compress photoss without damaging their quality, detect and delete larger files over 5MB, create backups, manage apps, and a lot more. Remember the above mentioned solutions, and share them with your friends and family members as well as who are still looking for ways to clear iPhone iOS 12/11/10 memory.